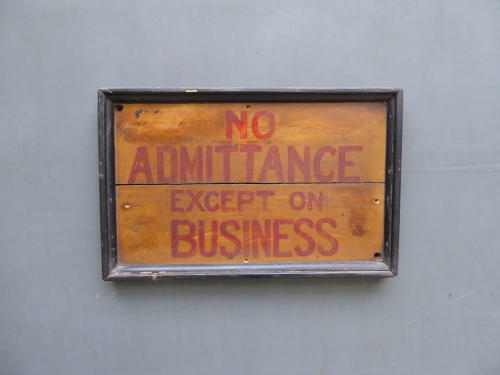 A wonderful antique painted timber sign ~ 'No Admittance Except On Business'. A charming sign, hand painted on pine board & set in its original contrasting black frame, all with a good age realated patina. Likely ex factory, very decorative.